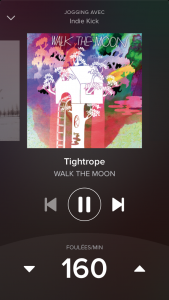 Spotify Running: finally the music adapts to your stride! I always wanted to run in music ! 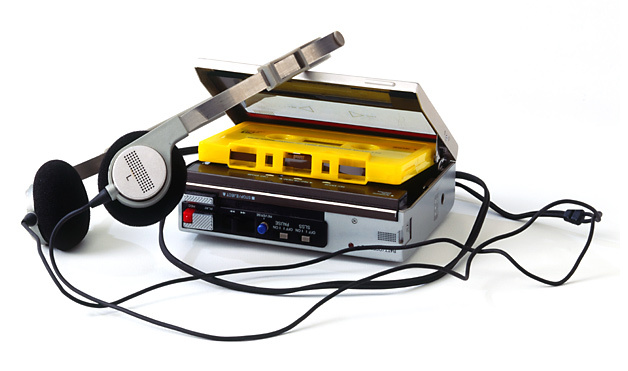 20 years ago, I was preparing my mix-tapes of DrumNBass that I was listening on my Walkman to over-motivate myself. Problem: my stride naturally followed the rhythm of the music, the beat. So every new track, my race was changing. And what’s more, music with headphones kept me hear my breathing, which is an essential feedback to regulate my race. So I was experiencing the exhilarating but disjointed racing, with the inability to effectively synchronize breathing + music + stride. It was 10 years ago with the mp3, I tried to organize selections of calibrated tracks. 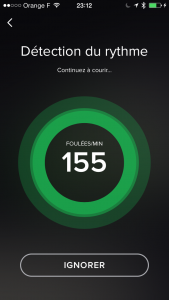 With software like Mixmeister I could classify my favorite songs by their BPM, prepare the pace of my runs, switch from slow to faster playlist. But it was time consuming and not reliable enough: treatment algorithms were too often lost with long intro or outro. So I abandoned music for running. 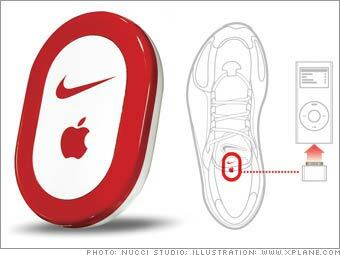 I had this little Nike sensor that I put in my shoe. It was the first mainstream sport pedometer that allowed me to collect my race data. Its coupling with the iPod from Apple brought however nothing effective. No wedged tracks on stride. Only one function “boost” allowed you to quickly start the favorite song that you selected in advance. 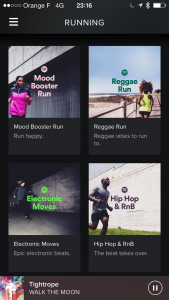 Spotify takes a great position in the segment of sports and “workouts”, also with the deployment in May of a partnership with Adidas (which bought Runtastic this summer to bridge its gap with Nike community). You sign up for free on Spotify if it’s not done yet. You put on your running-shoes, put on your headset, and off you go! 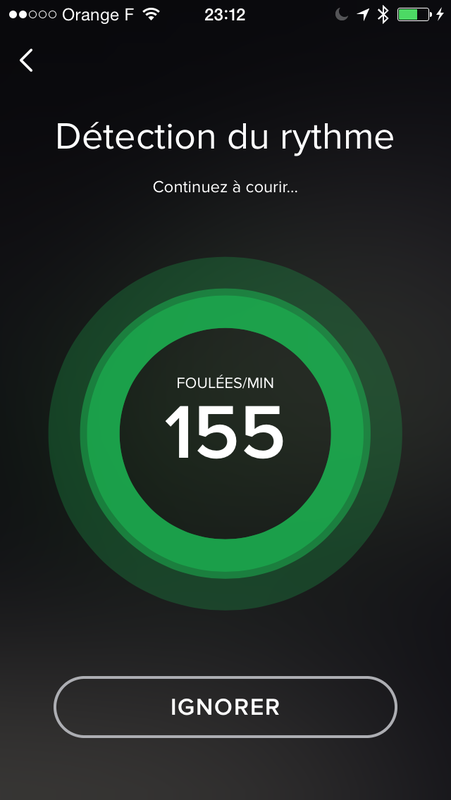 In a few tens of seconds the application detects the rhythm of your stride. 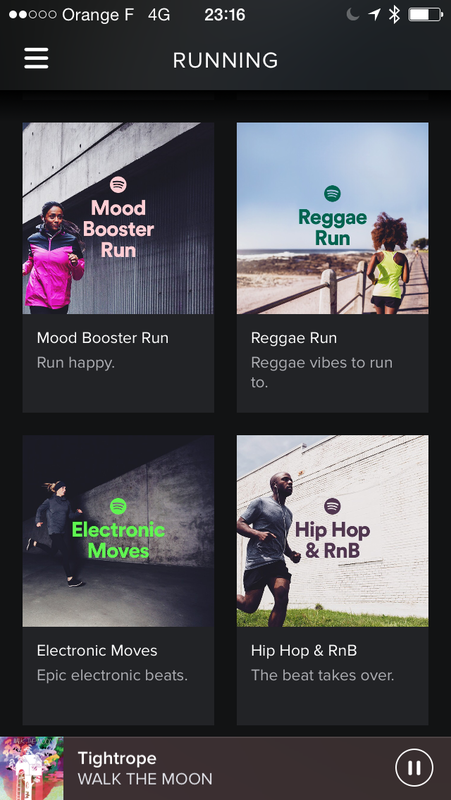 Spotify hits hard with a solution long awaited by all runners fond of music. This first version is successful and it made up for the race in music. However, I already expect future versions with hopefully a dynamic change in the pace depending on the evolution of the stride. Because right now, you can only change the tempo of the music manually. Which, unlike the end of the video trailer above, does not allow you the moment unbridled acceleration limit switch.